National Book Auctions, located in Ithaca, New York will features a fine assortment of important books, ephemera and collectibles, including a number of important first edition volumes, Sunday, March 20 auction. Also offered is an assortment of antique and vintage literature and other writings spanning the 19th and 20th centuries. Of particular note is a sizeable collection of antique titles relating to bee-keeping and an original, antique handwritten letter from Susan B. Anthony, written in 1889 and discussing women's suffrage. Featured in this auction is the 1814 first English edition of "Travels to the Source of the Missouri River and Across the American Continent to the Pacific Ocean," which provides a detailed account of Lewis and Clark's expedition across the unexplored Louisiana Territory, derived from the journals of the explorers. 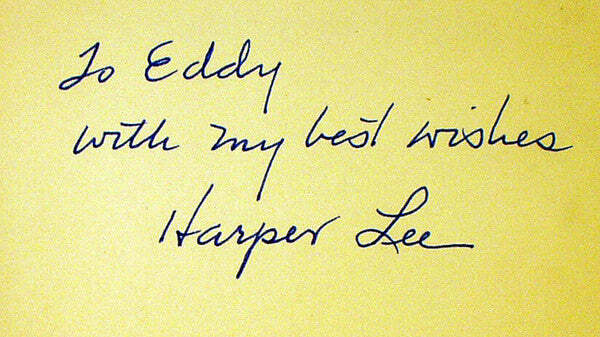 A selection of first editions will be offered, including an important author-signed first edition of the classic To Kill A Mockingbird. This should make an excellent investment. Among the other first edition titles is a number of Pulitzer Prize winners, including the 1923 work "The Able McLaughlins" by Wilson, "Confederate of Dunces" by Toole (1980) and the 1952 classic, "Old Man and the Sea" by Hemingway.